Welcome to the beginning of a new week here at SuperPhillip Central. Generally, on Mondays, we start the week with an edition of SuperPhillip Central's Favorite VGMs. 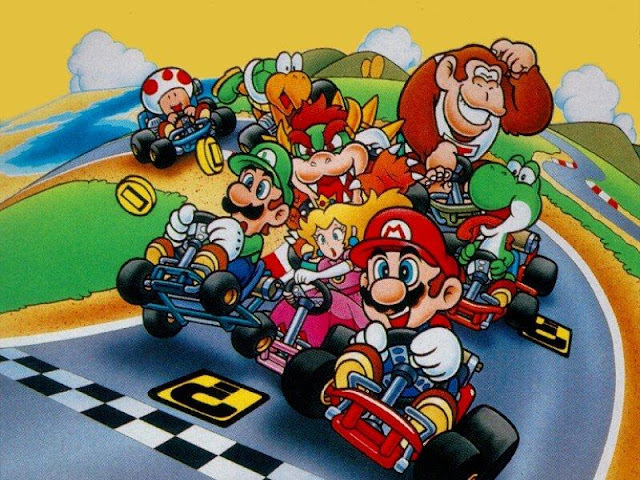 That tradition continues with this Mario Kart-themed edition, spotlighting five themes from five individual entries in Nintendo's long, lasting arcade racing series. Jetting off the starting marker with a well-timed button press before Lakitu's count goes down to 1, we flip and fly with Mario Kart 8 Deluxe. Following that, with dive and glide with Mario Kart 7. 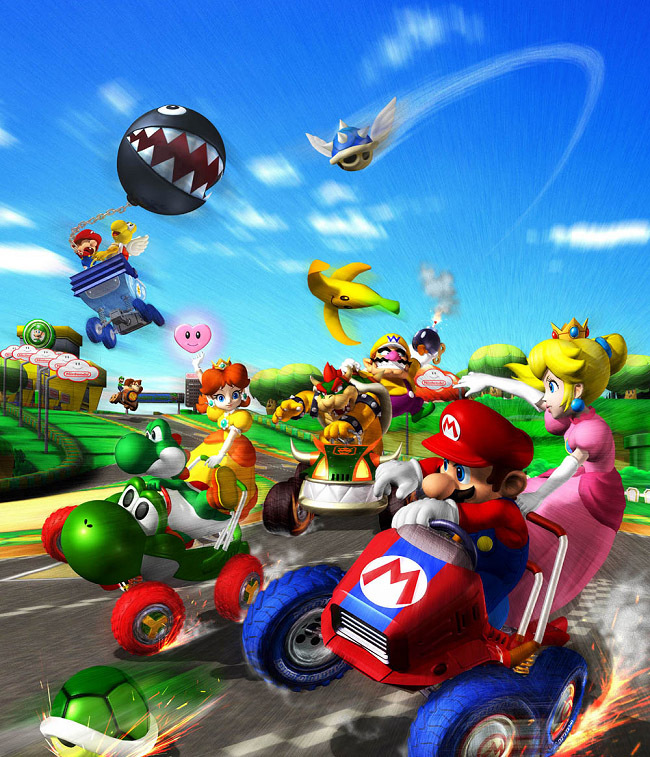 Then, we keep the lead in tow with Mario Kart: Double Dash!! and Mario Kart 64, before crossing over the finish line in record time with Super Mario Kart. Click on the big and bold VGM volume name to hear that song via YouTube video, and remember: the VGM Database has every song ever featured in this weekly ongoing series of articles. Now, let's get on to the music! 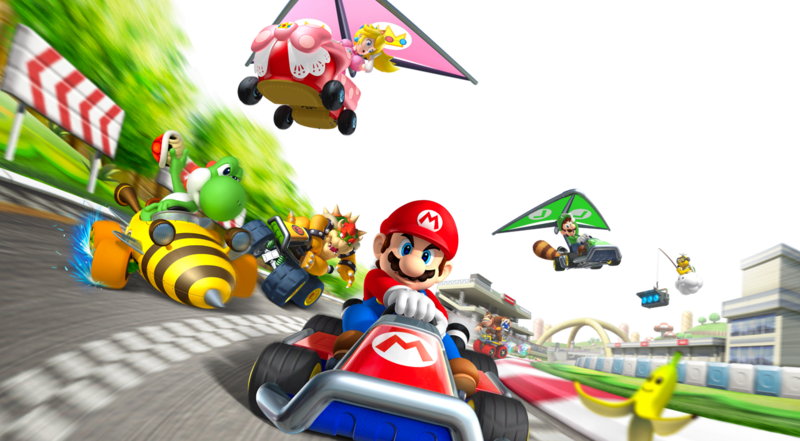 Let's boost out of the starting line with the most recent Mario Kart outing on there, Mario Kart 8 Deluxe, an updated port of the Wii U original. 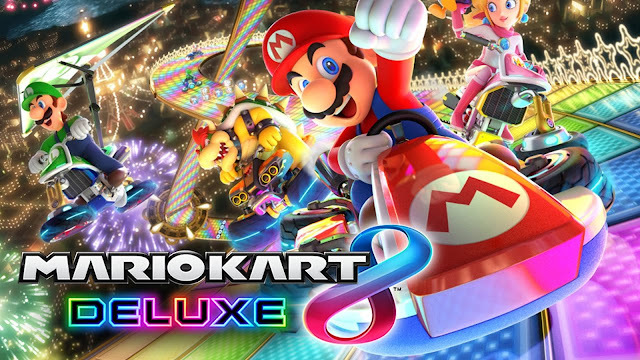 Deluxe came jam-packed with all of the content of the original Wii U release, such as its roster, tracks (including all of the initial DLC now on the game itself), and modes. Well, the latter isn't exactly true. In fact, one of the fresh aspects of Deluxe was the revamped Battle Mode, taking place in actual arenas rather than retro-fitted tracks lifted from Grand Prix mode. Lunar Colony, with its chill guitar and electronic accompaniment, is one of such arena featured in Mario Kart 8 Deluxe's new and improved Battle Mode. Returning from Wii Sports Resort, Wuhu Island gets representation in Mario Kart 7 three times: twice in the Grand Prix modes as two different tracks and once in Battle Mode as one of the arenas. The first of these Grand Prix tracks takes place in the Flower Cup, and it's a three-stage race as opposed to a three-lap one. It's a glorious and satisfying trip around Wuhu Island, hence the racetrack's name, Wuhu Loop! Race through the heart of Wuhu Town, cross the historic red suspension bridge, race alongside the ocean on a cliff side path, and meander around the island in this wonderful race. Mario Kart: Double Dash!! ended up being a nostalgic favorite for me, which is weird because I spent more time playing Mario Kart 64, its console predecessor. Regardless, the bright and bouncy visuals, "two characters per kart" racing mechanic, memorable tracks (at least for me), and endless nights of enjoyable multiplayer made for a Mario Kart entry I really liked. This theme, VGM volume 1473, plays during two tracks within Double Dash! !, one in the early tropical beach track Peach Beach, and the other aboard the Daisy Cruiser. Both of these venues are great for soaking in some sun while ruining others' racing vacations via banana peels, shells, and lightning bolts. I talked about how Double Dash!! was a more nostalgic for me as opposed to the Mario Kart entry I played much more, Mario Kart 64. 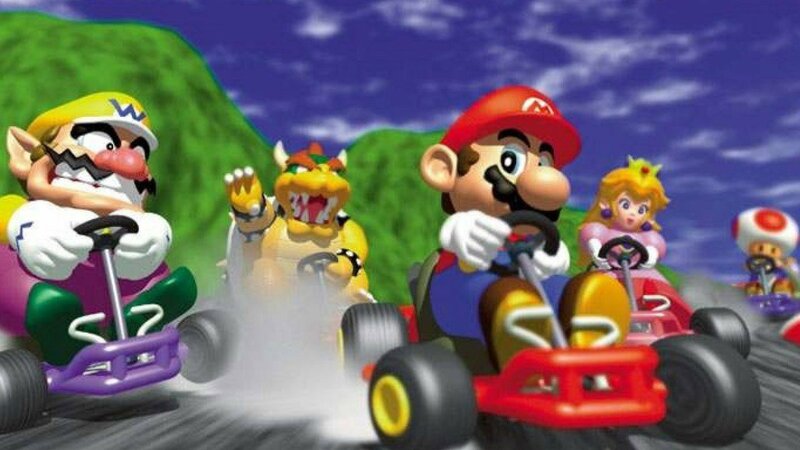 However, thinking back, there was so much to dislike about 64, from the insane rubber-band AI to the handling of the karts themselves. One thing that Mario Kart 64 beats the pants off most games in the series is without question the astounding music. Through all the themes, there isn't a loser in the bunch, and all fans of the soundtrack like myself can thank game composer Kenta Nagata for that. We head to the finish line with SuperPhillip Central's Favorite VGMs in style here with the original Mario Kart experience, Super Mario Kart from the SNES. Mario Circuit is the very first Mushroom Cup race, and it eases players into Super Mario Kart with gentle curves and minimal obstructions so they can get a grip on the game's controls.